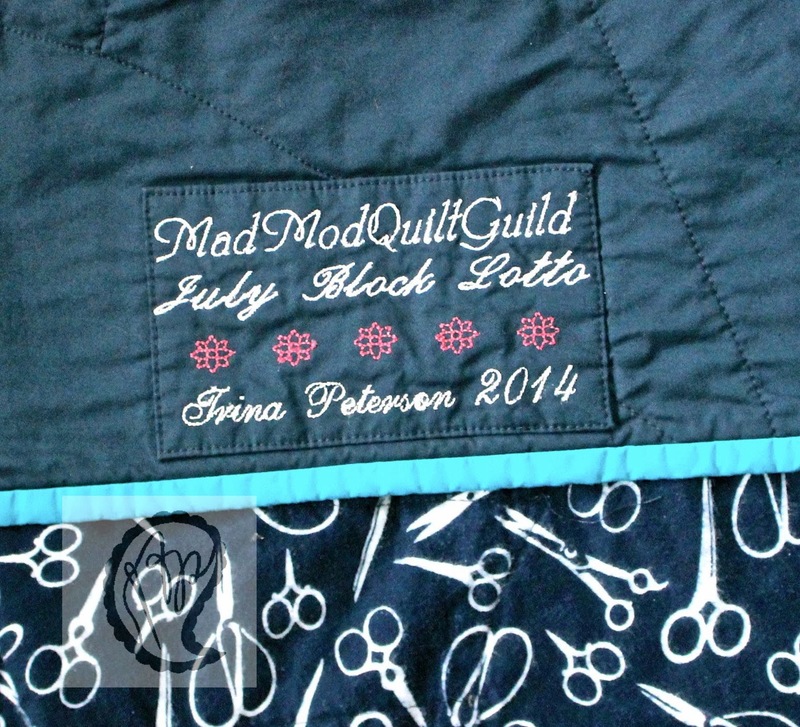 In July I was the lucky winner of the MadModQuiltGuild's monthly Block Lotto! This completely contradicts what I said in my last post: that I never win anything. Ok, I usually don't win anything. How it works is that each month members have the choice to make as many blocks as they desire to enter into our monthly block lotto. Our events coordinator selects the block pattern and color palette in advance. The number of blocks each members brings equals the number of entries she gets for the lotto. A name is drawn and that winner walks away with all of the blocks - free and clear to do with them as she wishes. The only rule is that the winner can not win any subsequent lottos until she returns to a meeting with her finished project. I am still a baby in the quilting world. That is my excuse for not knowing what the heck to do with my blocks! After much deliberation, I decided to go with the ol' standby: appliqué. Using the color palette for the blocks, I made a big background of solid Kona strips (twin-size for my naked spare-bed). 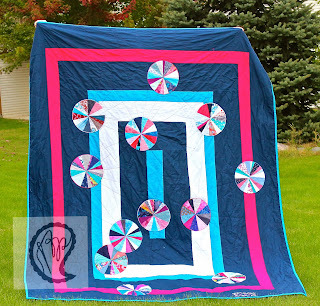 Then I cut the blocks into circles and applied my beloved Steam-A-Seam2Lite fusible web. I pinned those suckers in place and zig-zagged around them like nobody's business. Notice anything out of place? THAT'S RIGHT! In true Trina-is-a-Spaz fashion, I stitched the wrong year on there. Uh...DUH! It wasn't until I was about to throw the thing in the washer that I realized my error, so I said "eff it." A couple months off - no big deal. Overall, I'm pretty happy with the outcome. I definitely got the "modern" part down on this one. What I like best is that there is a story...something with which to bore my house guests when they make the mistake of asking about the quilt on the spare bed. 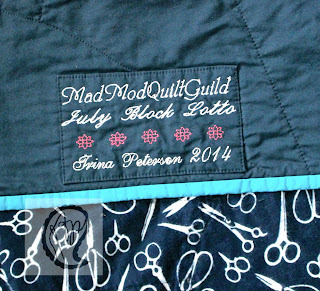 Thanks to the gals at the MadModQuiltGuild who made blocks (er...circles) for this quilt! 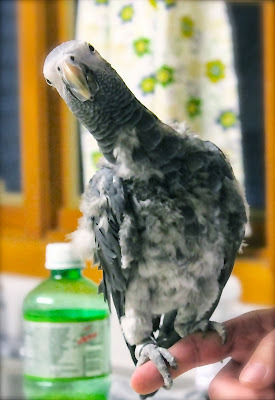 And just because she's nosy...Keef says, "What're y'doin?" 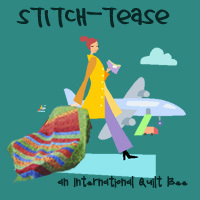 Trina--I love reading your posts and seeing your creative projects. I am always left with a smile in my soul. Will miss seeing you at Sew South. Nicole and I will not be attending this year.